Vortex® patented Exhaust Technology improves engine efficiency, resulting in increased BHP and torque, reduced fuel consumption and significantly reduced harmful emissions. Exhaust back pressure is a result of the engine’s inability to force toxic gases out of the combustion cylinder and away from the engine efficiently. Pulse waves, pressure waves and extremely hot gas, clashing with dense cool air, result in volatile conditions and temperatures of 800°C to 1100°C, causing a serious loss of engine efficiency. Only one of the four engine cycles produce power, with the other three consuming power. Back pressure results in losses of 10 – 30% of engine efficiency and increased toxic emissions. There are additional factors which add to back pressure build-up in an exhaust system including; catalytic converters, diesel particulate filters and silencers. These additional exhaust systems can reduce emissions and pulse waves but restrict the gas flow and cause backward pressure waves which all have a negative effect on engine efficiency. Vortex’s patented exhaust technology centres on improving Volumetric Efficiency (VE), which is the ability to move charge (air) into, and exhaust gas out of, the cylinders. VE is the key to greater engine efficiency, i.e. a more complete combustion, resulting in more power, lower emissions and improved MPG. Closed loop self-educating ECUs adjust their parameters to ensure that a more complete combustion is taken advantage of. Consequently, tuners can take full advantage of air first and then fuel to achieve ultimate combustion. Furthermore, turbo-chargers operating in low back pressure environments lose their lag and rev to a higher velocity, significantly improving performance. All of the above achieve, at best, only minor varied improvements in reducing back pressure. However, with all these technologies the engine is still working hard to force the gas out of the system against the same amount of drag, therefore significant back pressure is still present. Vortex’s patented exhaust technology uses wasted energy, in the form of exhaust pressure, to accelerate gas over a profiled shape, creating a vortex. Acceleration of the gas flow creates low pressure in front of the vortex, resulting in a vacuum effect. This low pressure allows the engine to evacuate exhaust gases efficiently in front of the vortex and acceleration of gas behind. Ever increasing legislation has forced vehicle manufacturers to reduce the emission of harmful by-products of fuel combustion. Consequently, exhaust systems have become more complex in their design and more restrictive to gas flow, thereby reducing vehicle performance and power. It is widely accepted that we should all be seeking ways to minimise the emissions of internal combustion engines and the effects on people and the environment. 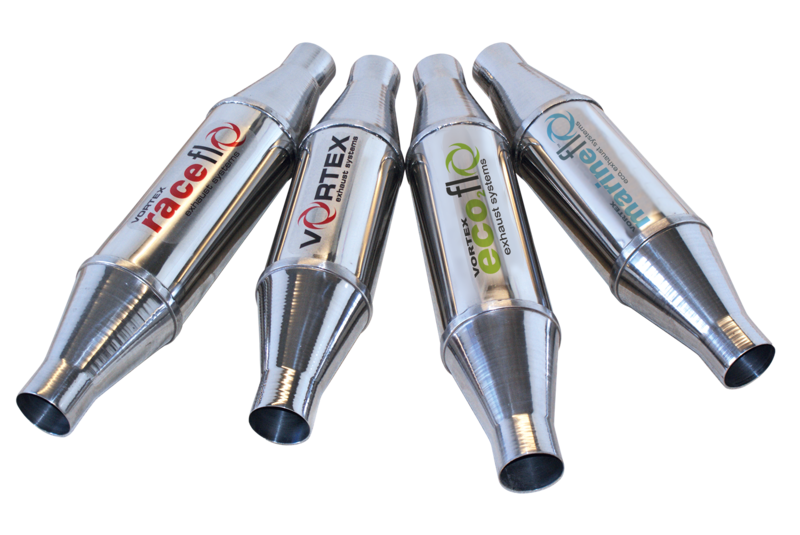 Vortex Exhaust Technology provides a practical and significant solution to significantly reduce emissions. 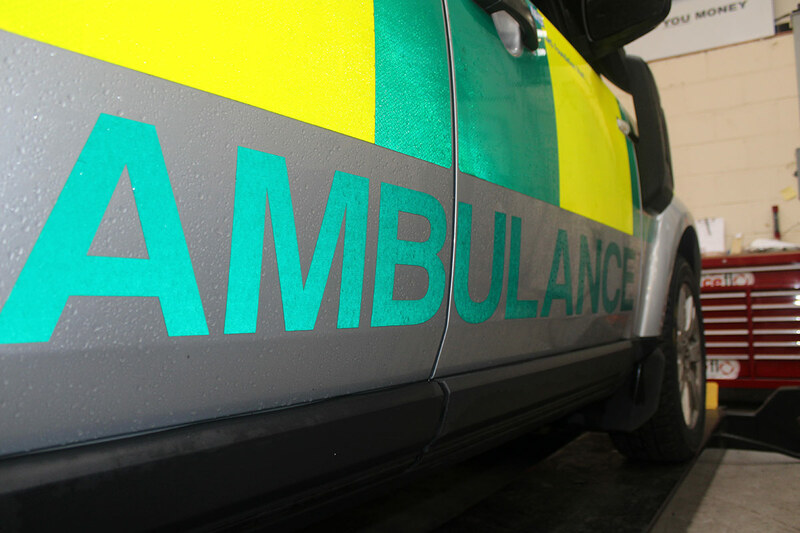 As part of Vortex’s fleet development strategy for 2013, we approached South East Coast Ambulance Service to organise a trial study on how the Vortex® technology could enhance the performance characteristics of the ambulance vehicles. 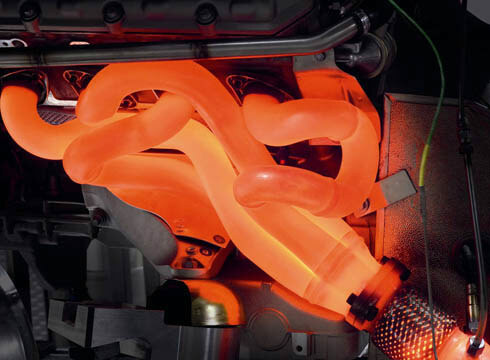 The results above show a 57% decrease in emissions following the fitting of a Vortex® exhaust system. Smoke temperature has also risen by 10+ ºC. 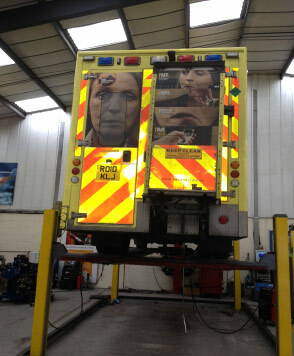 In addition, the Vortex® exhaust system that was fitted on this vehicle has totally eliminated diesel particulates large enough to be registered on the testing equipment. 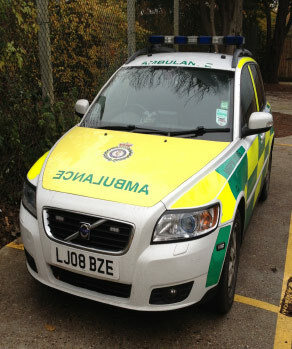 SECAMB monitored the fuel usage of every vehicle in the test and compared figures to placebo vehicles and previous fuel consumption. Significant fuel savings were recorded on every vehicle in the test, ranging from 6.73% improvement in the DMA vehicles up to an impressive 21.04% in the Volvo V50 and 25.88% in the Land Rover Discovery. 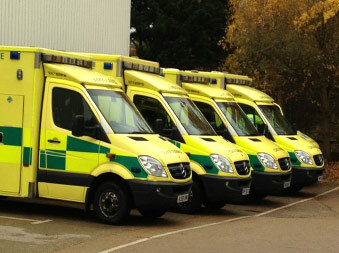 Full, conclusive figures are available from Vortex and SECAMB on request.